As a series, Assassin’s Creed is very hit and miss. For every well-received title like Black Flag, there’s one that’s heavily scrutinized like Unity. Considering it’s an eight-year-old property with yearly instalments, some games will impress more than others. 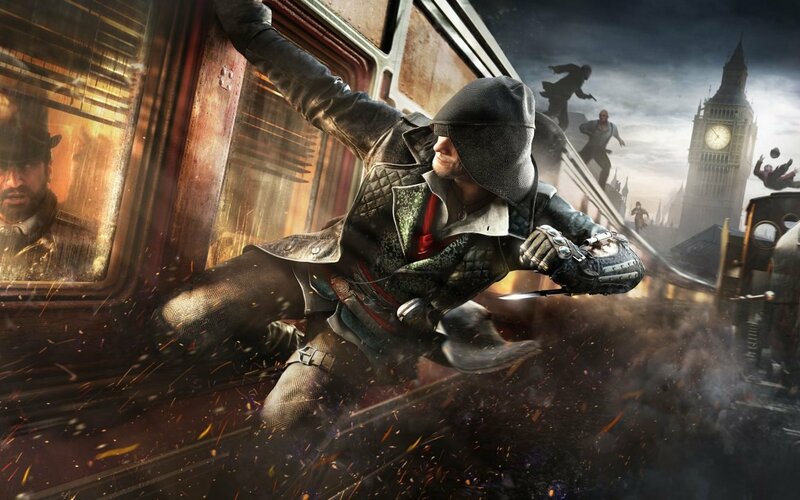 After the lacklustre response to the last entry, Ubisoft announced that they would take out online play and focus on singleplayer experience to blow our minds with Assassin’s Creed Syndicate. Unfortunately for us, we got a clunky instalment with little to no replay value. While it definitely isn’t the worst game in the series, small, irritating issues plague this title, which is unfortunate because it oozes with potential. 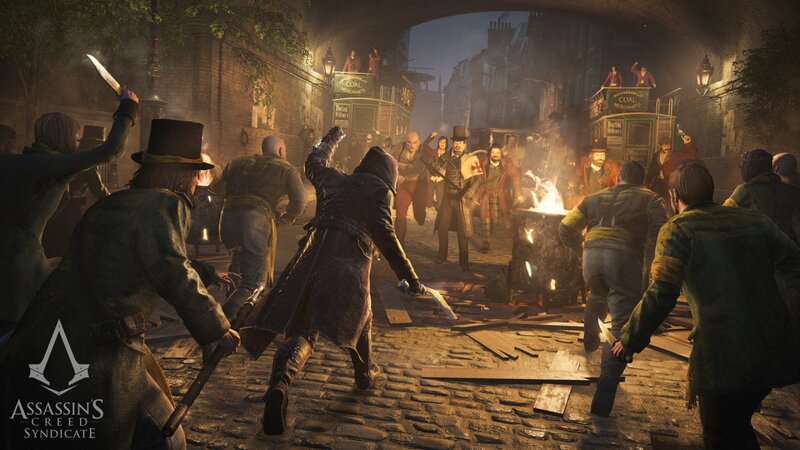 Players are dropped into the grey streets of 1868 London in the midst of the industrial revolution. Well, synthetically at least. The Assassins are still searching for pieces of Eiden, as is tradition, while the Templar do Templar things in an attempt to rule the world. The crack duo of Rebecca and Shaun do their part in modern times while we take control of two all-new characters in another time period. This time around, we play as the witty, brutish Jacob Frye along with the cunning Evie Frye. They’re twin gangster Assassins on their way to the Templar haven of London. The city is under the thumb of the classic 1800s bad guy Crawford Sterrick, who has his fingers in everything from low-level street crime to corrupt politicians. 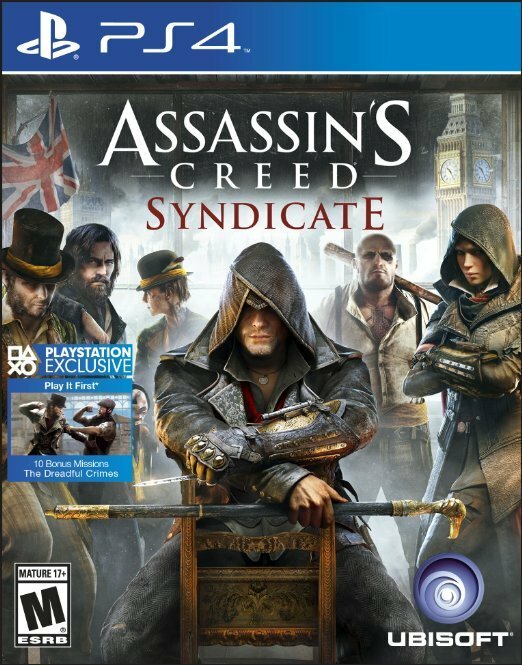 By building a gang, taking control of industries, and using some good old fashioned stealth, the Frye twins plan to take London back from him, while also getting a piece of Eiden because that’s the entire point of the series. The plot is only interesting on a surface level. The concept is intriguing, but its execution is very cut and paste, and no one is memorable. Jacob is the stereotypical male archetype; he always has some kind of comment for any situation, and would rather fight his way through any rough situation. He suffers from the same issues most male leads have this decade: he’s distracted easily, comes across as arrogant, and is generally annoying. Evie compliments him, though; she’s more serious and on point, but she lacks any true personality. I can see the kind of team they’re supposed to be; two opposite sides of a coin that somehow manage to work together. Unfortunately, they’re two half personalities and neither feels like a fully fleshed-out character. Their purposes are to highlight each other’s differences and that’s about it. Their differences don’t just end with their personalities, though. Jacob is supposedly better in combat, while Evie is faster and better in stealth situations. Technically, that’s not wrong but in reality, Evie is just the more rounded character and is more fun to play as. Since Assassin’s Creed tends to stick with one playable protagonist, it’s different to have two to manage and build. They share experience and cash, but you can only spend on one person, the entire gang, or your industry. There’s an entire skill tree to bring in more revenue and upgrade your gang strength, but you can go through the entire game without spending a single point on either and it won’t really make a huge difference. It’s too bad there isn’t an upgrade for their handling since they’re both rather clunky. Many times you can’t do the exact thing you want because of it; stealth becomes very difficult because they never move exactly the way you intend, and the parkour never feels completely fluid, either. Combat is pretty repetitive and boring as well. There is something that feels unfinished when it comes to the game mechanics. This was very apparent in a horse and buggy chase where your job is to shoot oncoming baddies. This entire sequence was filled with glitches from AI turning around for no reason to crash into a wall, right down to an enemy standing behind me taking a bullet I shot even though my crosshair was pointed in the opposite direction. It wasn’t an isolated incident either; these kinds of issues plague the entire game. I choked out a guard in front of a crowd of people and no one reacted. Another time, all the character models dropped out of an entire cutscene. For a fully priced game, these are not issues anyone should put up with. On top of irritating glitches, you don’t have complete freedom over your missions. Yes, you can tackle assassinations any way you choose, but, each character has pre-determined quests, so you can’t choose which person and style to play for main story missions. Considering there is no online mode, and the campaign isn’t much longer than any previous titles, this was a missed opportunity to add some much needed replayability to this entry. There really isn’t a reason to come back to this after the game is complete. Despite the less than desired controls and campaign, the game looks great and Ubisoft nailed the setting. London is a dark, sprawling city filled with extreme wealth and crippling poverty. This is probably the largest city in the series. It’s so big that your main base is actually a moving train. That’s a first for the series, and one of the most badass parts of the game. But don’t let its size intimidate you; London itself is a visual joy. Factories and shops line the cobblestone roads, while the streets are filled with people. Instead of riding horses, you get carts—which was a nice touch. And like every other Assassin’s Creed game, you interact with famous people from the era like Charles Dickens, Charles Darwin, and Alexander Graham Bell. Since many of the historical figures from this era have living relatives, the people you assassinate are completely fictional, but working alongside some of the greatest minds in history was really fun. As a huge fan of this time period and location, I was awestruck throughout my playthrough. From the fantastic presentation, to meeting some of my favourite people from the era, it feels like this game was tailor made for those interested in the industrial revolution, it was really easy to get lost in everything. To add to that sense of immersion, the most fitting music plays in the background. The musical score is mostly a stringed orchestra; it’s very heavy on violins. This was my favourite soundtrack in the series. It was epic when it needed to be, cheery other times. Even though the entire presentation was pretty spot on, this stood out the most. The biggest addition to the game, however, is the grappling gun. Since the buildings are so much larger than the structures in times past, scaling walls could get old fast. When I first heard of it, I couldn’t wait to try it out. There is so much potential to be a game-changer, and I still think it does down the line, but it could use some refinement. Often times, when you’re too close to some buildings, you don’t really have a proper indication of where you’ll go when you launch. There were multiple times I went the opposite direction as I intended and since there’s no detach option while you’re mid-launch. I just had to wait and think about what I did. A manual aiming option would be ideal here, but it’s a step in the right direction. Most of the game feels that way. There is promise, but it wasn’t quite executed to its full potential. This is a series that would benefit greatly if it strayed away from the yearly instalment model to really refine every aspect of the franchise. This was a chance to right the ship, but Ubisoft really didn’t do a lot to make this game stand out. 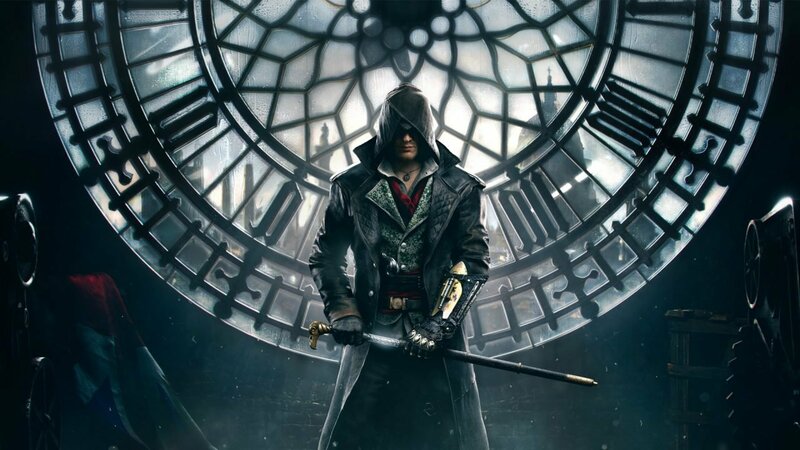 Assassin’s Creed Syndicate suffers from clunky gameplay and a paper-thin plot filled with flat characters. And no amount of new additions or refined graphics can fix the core issues the series continues to face. Odds are you’ll still have fun with this entry, especially if you’ve stuck with the series for this long, but once you put your controller down, there isn’t much calling you back. Since Assassin’s Creed tends to stick with one playable protagonist, it’s different to have two to manage and build.